1) Get Vikings fans excited about the Season 3 premiere. 2) Attract more millennials to the the show. 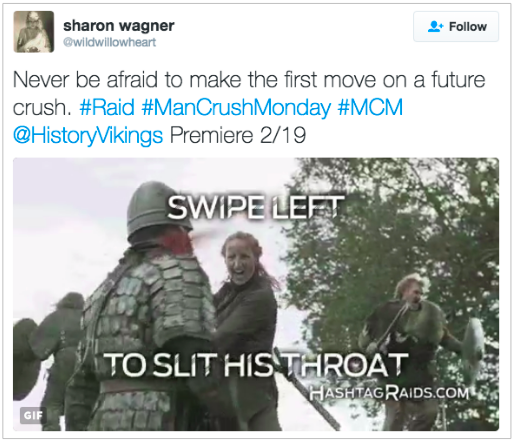 The Idea: Hashtag Raids: surprise attacks on popular hashtags that flooded millennial feeds with Vikings content. To take part in the raid, fans just clicked their favorite Vines, GIFs, and memes, which were then posted along with the target hashtag and show promo copy. We directed all of our fans to post their content at the same time, to suddenly flood millennial feeds with Vikings content. 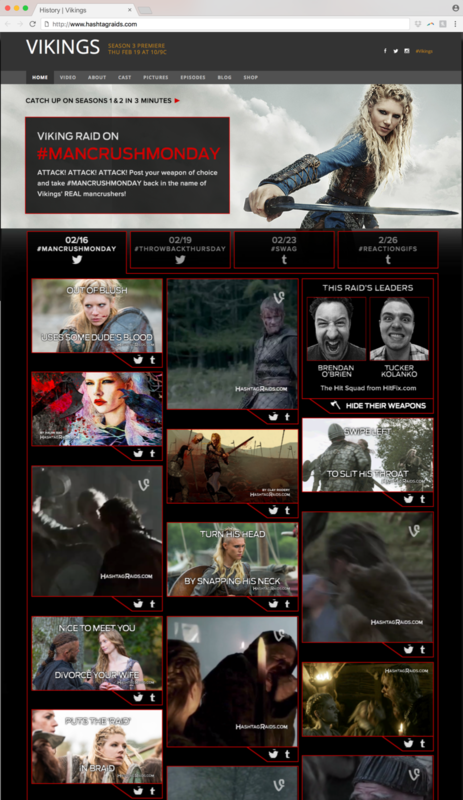 During each raid, anyone who searched for or clicked on our target hashtag found blood-soaked Vikings instead. 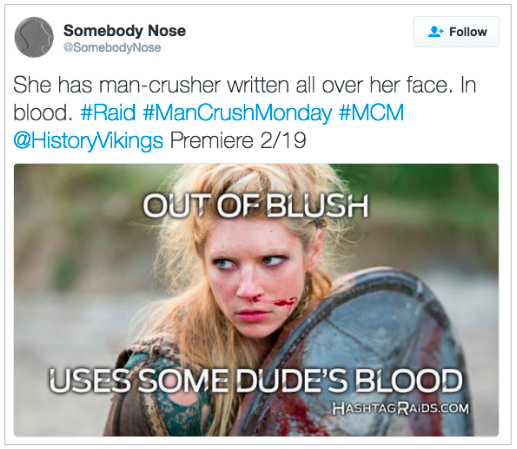 For example, on Man Crush Monday, over 80% of #mcm posts were related to Vikings.